This will be a start. 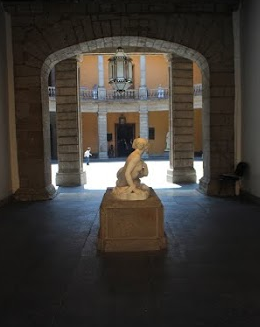 In December of 2011, my first year here, I stayed in Mexico all Christmas and took in museums. LOVED it, I mean LOVED. So I will slowly begin to go back and recap the best, worst, and unique in various museums for your curating pleasure…:) As always, ALWAYS bring your ASF id as well as a student card if you are taking courses/classes anywhere! Important if you want to save $$$. Cameras allowed in most, but restrictions on flash usually apply. 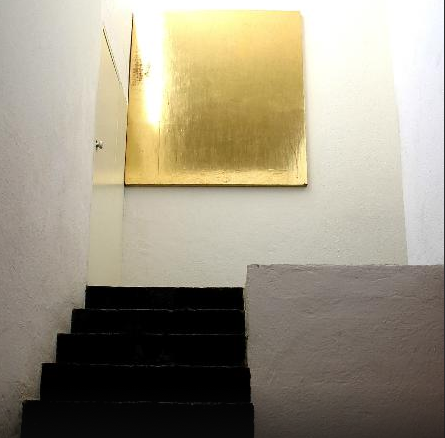 *MUSEO DE ARTE POPULAR Calle Revillagigedo 11, Cuauhtémoc, Centro, 06050 Ciudad de México, D.F. This is one of the best exhibits I have seen in any of the Museums. AMAZING exhibits from all over Mexico. FREE! No pictures/cameras allowed, but this treasure trove of exhibits, sponsored by Banamex, took my breath away. From basics like clothing, pottery, silver craft, textiles, baskets, might sound boring but NO WAY. Need to check your bags into the front lockers as you enter, but AWESOME exhibits the light and open nature of this museum, (cameras okay but no flash!) along with a total look at how biodiverse Mexico is represented (and maybe the best Museum store ever!) – Love this museum! Everything about Belles Artres is GREAT – from the performances, to the murals, to now the Davinci Exhibit – amazingly free with a teacher ID – that is a DEAL 🙂 The architecture is amazing and when I go to Centro, I always see this as a centerpiece. Normally entrance fee is 49 pesos, but still a deal with the beauty you see inside. Programming can also be seen here of events at Belles Artres. Av. Juarez 8, Cuauhtémoc, Centro, 06010 Ciudad de México, D.F. This is a word of beauty in many ways different than the Holocaust Museum in the states. Exhibits such as Richard Geres photographic Dalai Lama expoisition, now Yoko Ono, and many social issues related to tolerance are well represented. Get the audio recording if you can that accompanies exhibits, a very good companion. 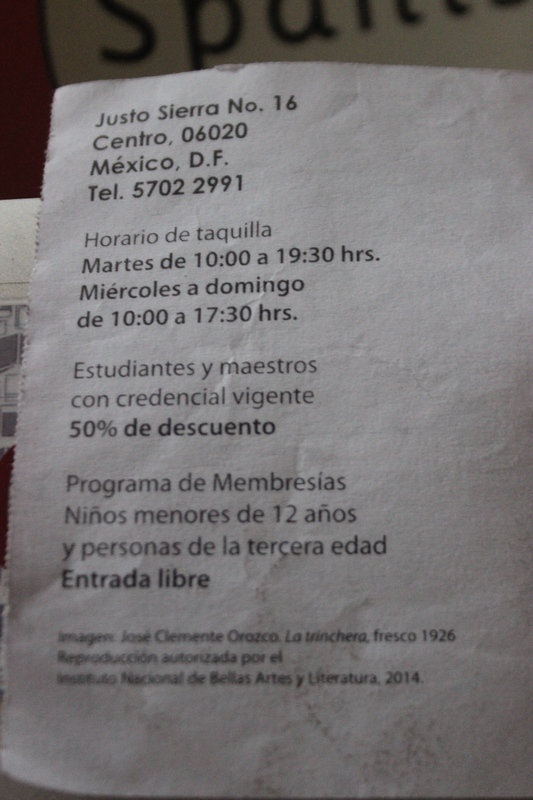 With id for students and teachers you get a discount and 60 pesos / 80 pesos with recording, is nothing to see the impotance of this museum right across from Plaza Alameda. 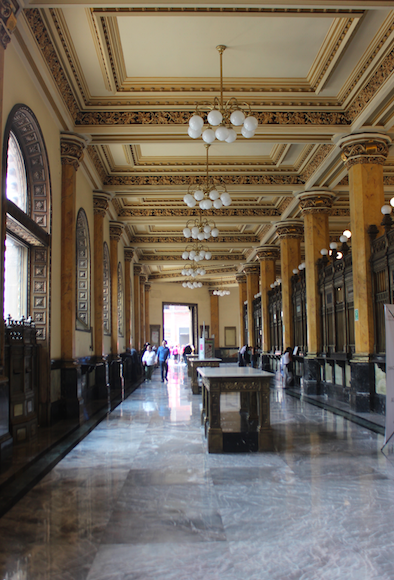 Should you visit the Mexico Postal building? YES! It is amazing like King Midas touched it- and you can send a few postcards to friends! Upstairs, after you check all the ground floor areas and find the showcases of exhibits on the on side!) – check out the Naval Historical Museum at the very top – and the VERY cool banister and elevator – but the Naval Museum – SUPER Cool. You will see models of fleets in specific battles and of course iconography tied to what many did not even know about a Mexican Navy – spacious and worth the checkout. 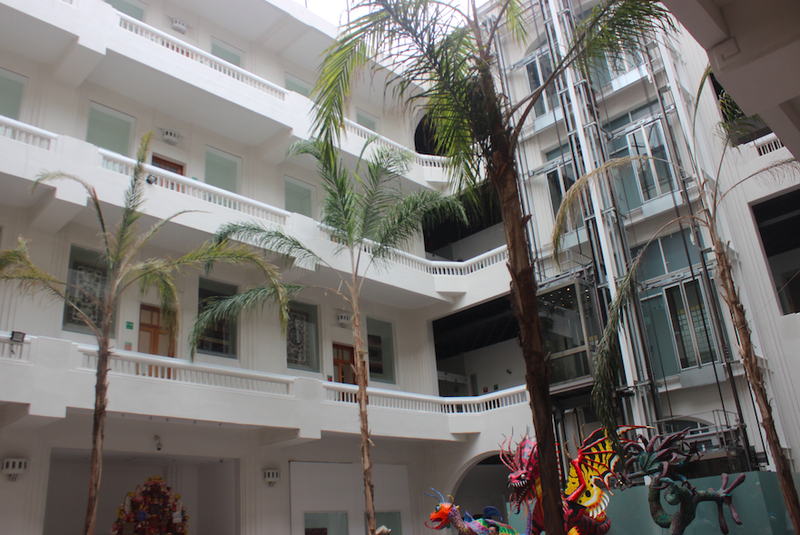 Love the architecture, the special exhibits and the beauty of the inner courtyard! Only 22.50 pesos with a legit id for students and professors. GREAT murals, ad if you are lucky, some workshops occur where you can make items that shadow exhibits at this museum. Great and easy location behind the Temple Mayor – go EARLY – later in the day lines lines lines. Photos allowed but no flash! 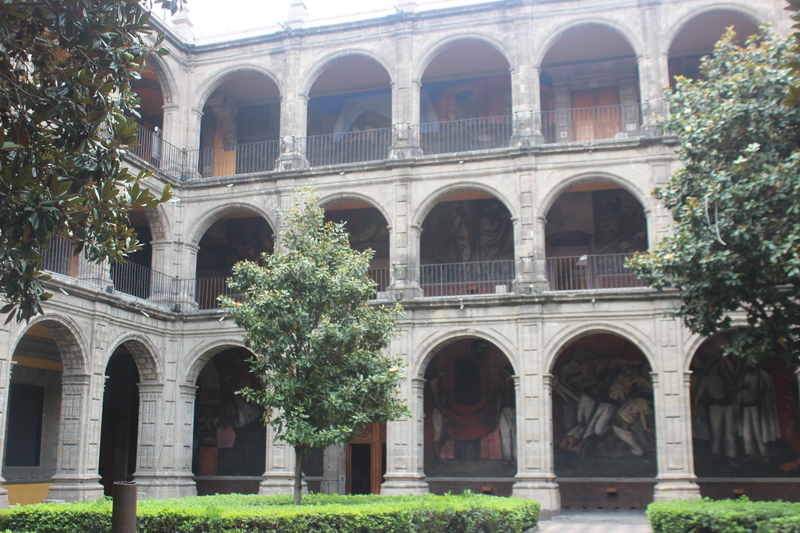 I was sure this would be just like the Archaeological Museum in Reforma, but this is so much more. 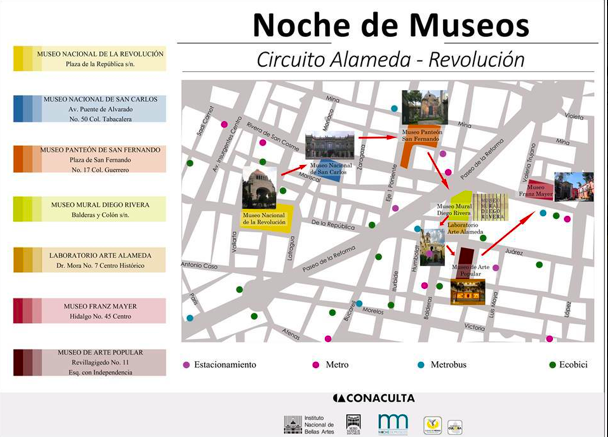 You feel the energy of Centro with the discoveries of a time that existed a long time ago – you will not want to miss this opportunity to go, so worth it. Free admission with ID and you need to check your backpacks, no flash allowed, but camera allowed. Specific exhibit info. here. They say don’t judge a book by it’s cover, but you should DEFINITELY NOT judge a museum by its front door or entry fee. Case study, I walked in with my teacher id, and thought, free right? NO – it is 25 pesos or 40 pesos with the ability to take pictures. I was surprised but realized, almost EVERY museum I have gone to as a teacher I have been into for free, and I am feeling a complaint? Really? – However, whoa. The amount of volume in art that you find here? – MUCH more than you’d expect, you have a hall of images that are mesmerizing, representing India. You have every single major artistic period represented detailed explanation as well as hall after hall of examples showing highlights of that particular period,be it Baroque, the Romantic Period, or the Renaissance. The kicker was there was a direct reference to Leonardo da Vinci exhibit at Belles Artes and the impact it had here, someone did good, VERY good. Also, the immersion areas for children where they can actually be a part of artistic in the museum – priceless. (Several areas for this too!) Add to that the fact that there was a salsa concert happening with dancers that just seemed to make the museum picture perfect, the art that lines the second floor of this museum area, and a stairway that makes you feel truly appreciative, with the side halls of exhibits, this was ABSOLUTELY worth the pesos with or without an id, hands down. The back area to exit with the park that is easy to miss behind the museum is a PERFECT place to to let it all flow through you and realize, this was a GREAT find. Show your id and it is free as a teacher! YEAH! Free with your professor credentials! A GREAT deal! I first walked to my right where there was a lounge-type area, and very cool – all the explanations and a majority of books on the artists, as well as the exhibits and detailed explanations were provided in a whole area constructed of fresh-looking wood, and neatly organized by exhibits. Underneath the collection of materials for each exhibit that was currently on display, inquiry logs were available for you to describe your reactions and responses to each of the exhibits. I loved the look and the comfortable space created by this area. The cafe was a perfect ending to an amazing experience, beautiful outside, individuals enjoying the park, a delicious omelette, great Chai tea, the atmosphere, the service, the food – everything, reasonable and DELICIOUS. I walked away realizing what an amazing and generous individual Rufino Tamayo was, and what an honor it was to tour his museum. Surprising and amazing details to be found and nearby to the American School Foundation in Observatorio! While regular admission is $40.00, with an id you get a discounted (I think it MIGHT be $25.00). This corner museum has several floors and at the time I went in this was El Rock en Mexico, which was a great look into rock in Mexico and many many artists and artifacts. This was well worth it as the inside is much larger than looks like from the outside and right in the middle of some great places in Roma Norte! Breathtaking and AWESOME and Very comparable to Washington D.C’s Holocaust Museum. 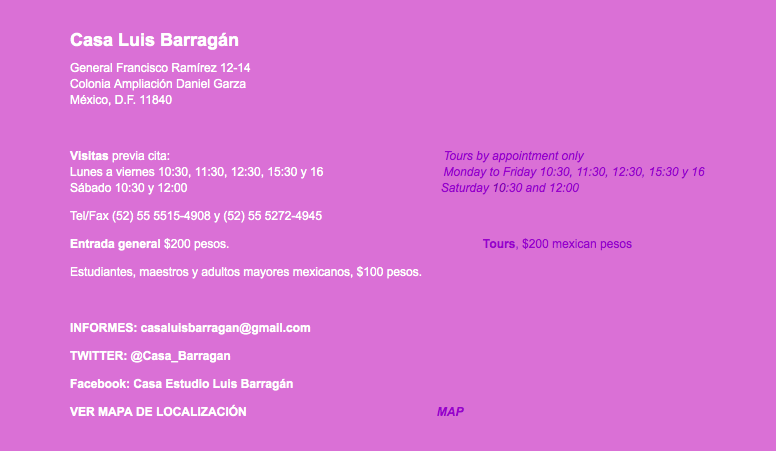 Bring your ID for a discount and it is VERY VERY worth it to get the audio tour in English along the way. Plan on three hours to take all in completely. If you’re staying in town for the holidays, here’s another museum to put on your list. I’ve heard great things about the Jumex collection 🙂 And one of our moms, Lisa, has shared this. “The Tlatelolco Museum (Museo de Tlatelolco) is open Tuesday through Sunday; 10am to 6pm; entrance fee is $30 pesos; Ricardo Flores Magón 1, Nonoalco-Tlatelolco. and one of the fastest growing areas in Mexico – this museum has a history of Christ’s crucification and this area is also the area of the recreated walk Christ takes with the cross – HUNDREDS of people, well maybe, thousands come! 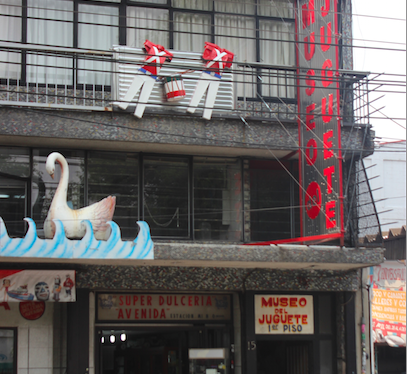 The museum is very large, open spaced, and only 5 pesos to enter. Inside the murals of the recreated walk Christ takes as well as a history of the area exist. 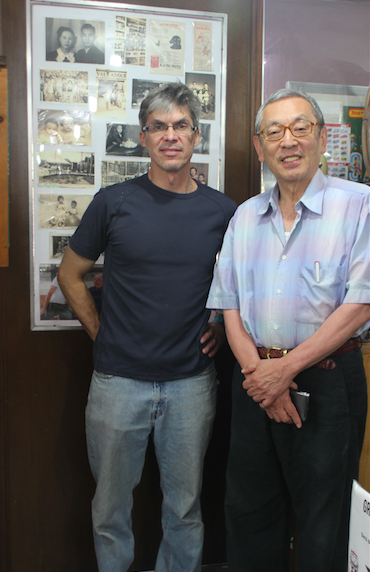 A short video as well helps acquaint you with this museum. 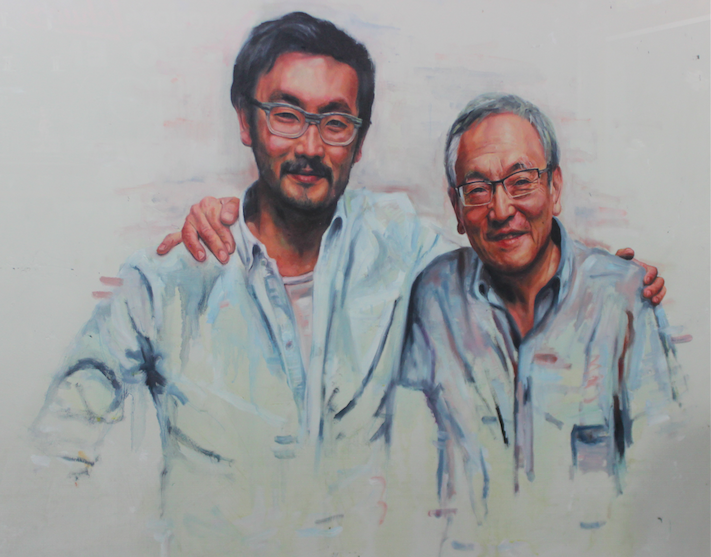 Although small, at the time we entered there was an inauguration as well as special exhibit of art that was great. I liked the personal aspects of this museum and that it helped enhance the area and an awareness of the customs in this area. Specific hours and the metro stop are found here at TimeOut. I think if you plan a morning an afternoon, you will have time to take the park and museum in easily. 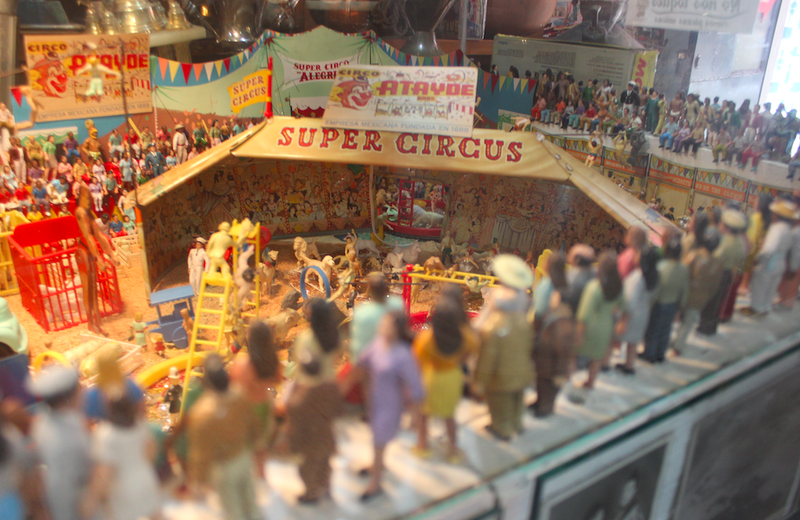 The collector that brought this collection to Museo del Juguete Antiguo, is a real estate lawyer Menahem Asher Silva Vargas has been certified by Guinness Awards as the largest anywhere but there are so many secrets to discover on every floor. In fact, you are not sure if the exhibits that are being held by some of the most creative cases are the art or if the exhibits themselves are the art (Sputnik relics, former movie theatre showcase lights, an old Dodge spree wooden wheel, these are nothing compared to some of the other showcases themselves allow you to take them in before you even get to the exhibit!